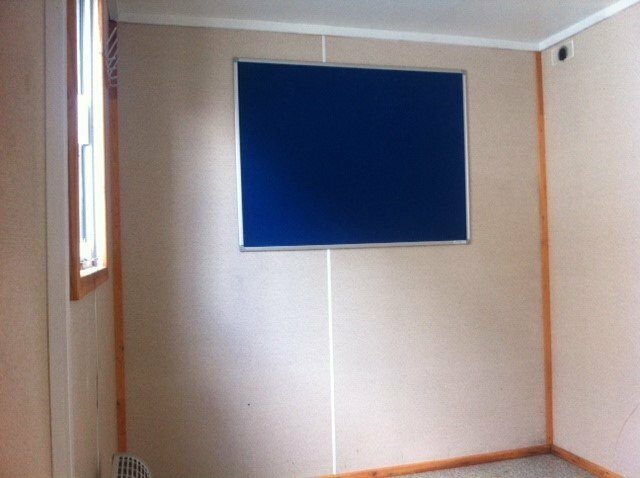 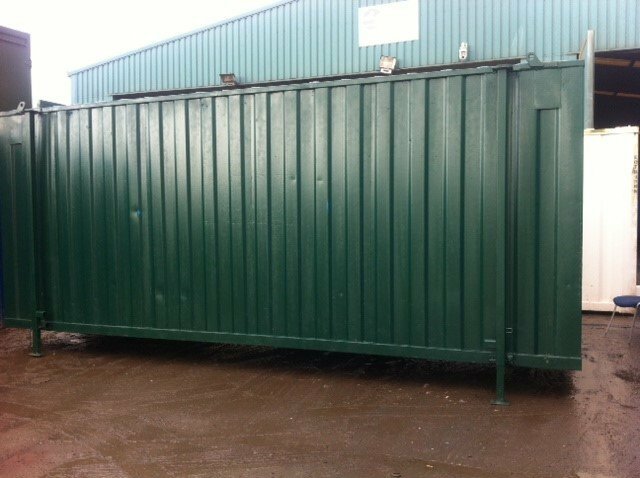 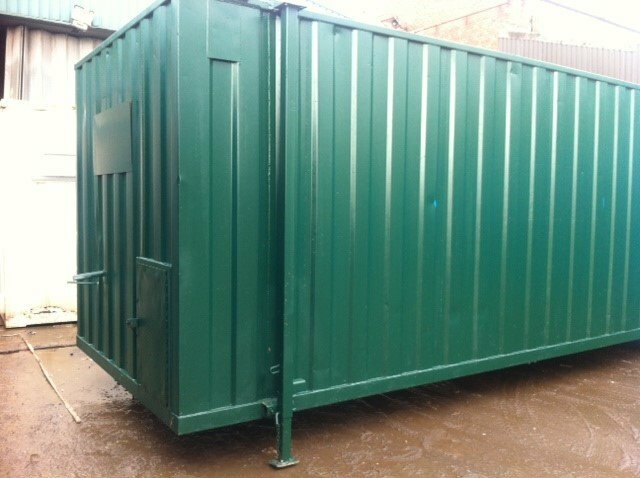 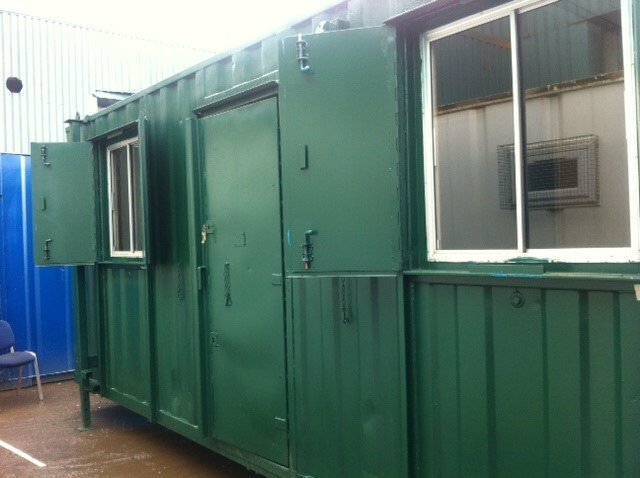 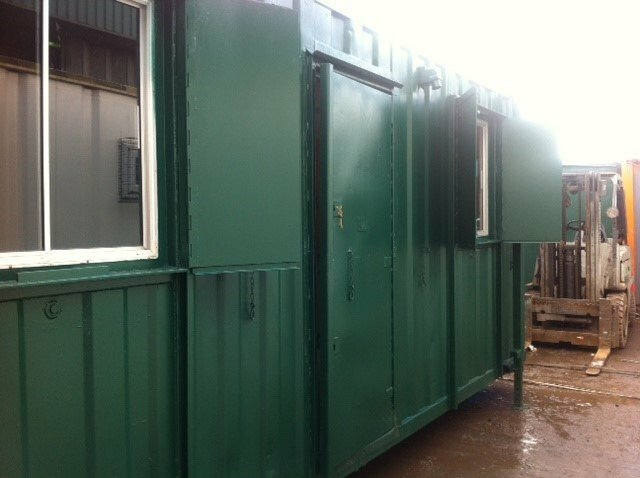 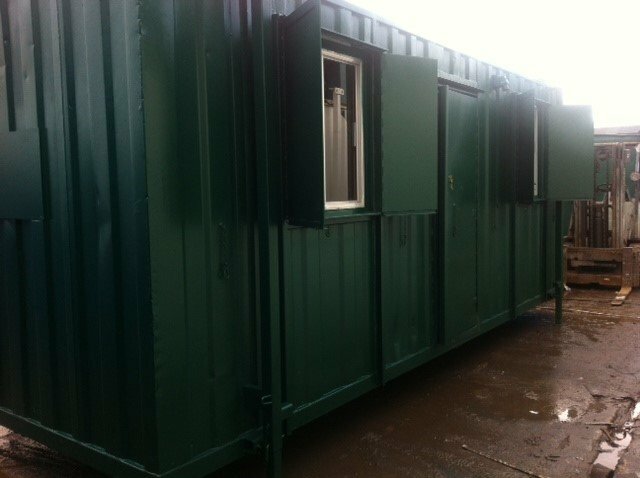 This Container Cabin is a 20ft x 9ft Green open plan canteen. 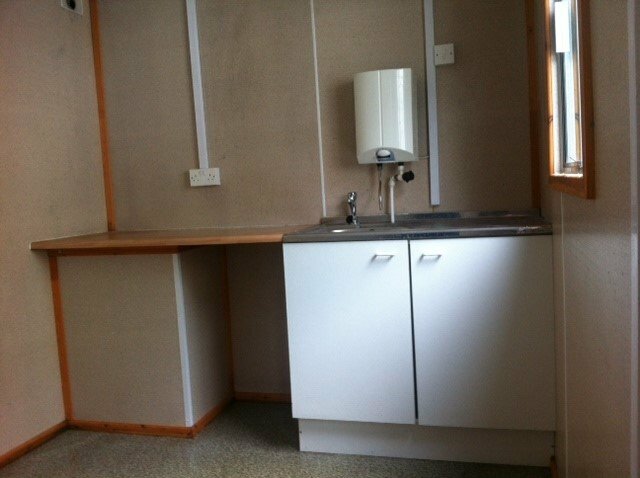 The unit is fitted with a fully water tested base unit, sink and water heater on the right side of the unit, whilst the rest can be used as a canteen or office space. 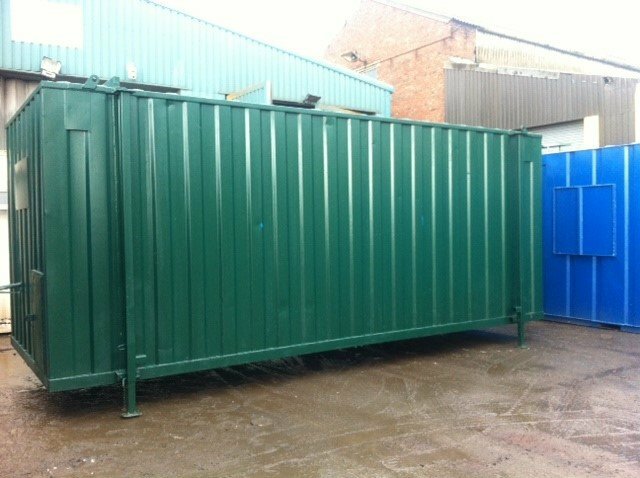 The unit is fully electric and heat appliance tested prior to leaving the depot.